I did all the fast, easy projects last week so I don’t have many to cross off the list this week. But I am making progress on finishing up Nik’s quilt. I also fixed the office shades (a couple of the pull strings had come undone). I am also almost done with Mark’s quilt top so I made good progress on that this week. Thanks for helping keep me motivated to get these projects done! 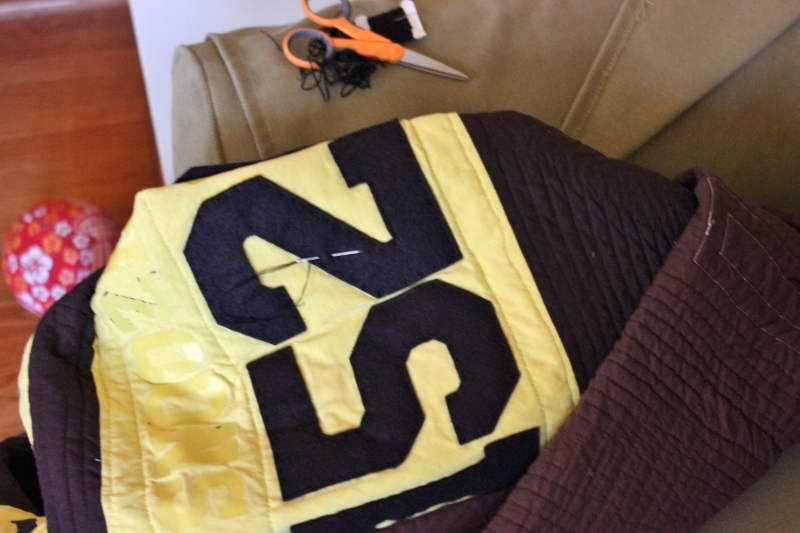 I can’t wait to see Nik’s quilt when it’s finished. Does he know you are making it or is it a surprise?